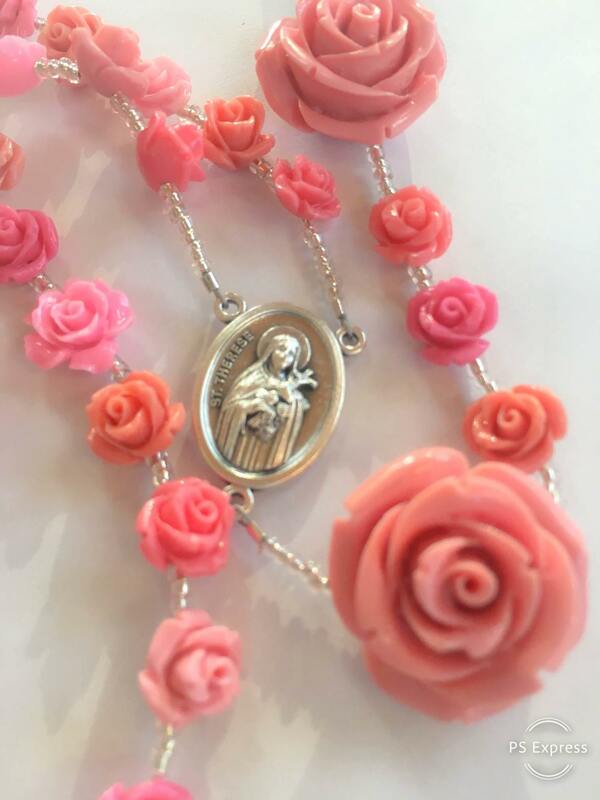 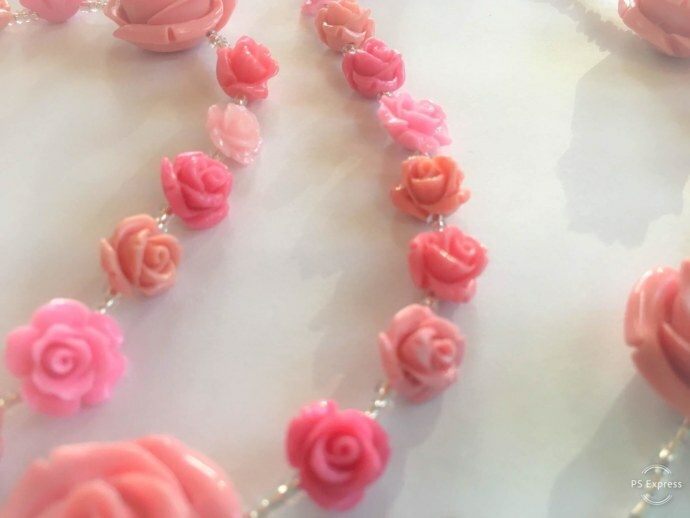 This stunning bouquet of rose beads honors Saint Therese of Lisieux and her promise to send a shower of roses from heaven. 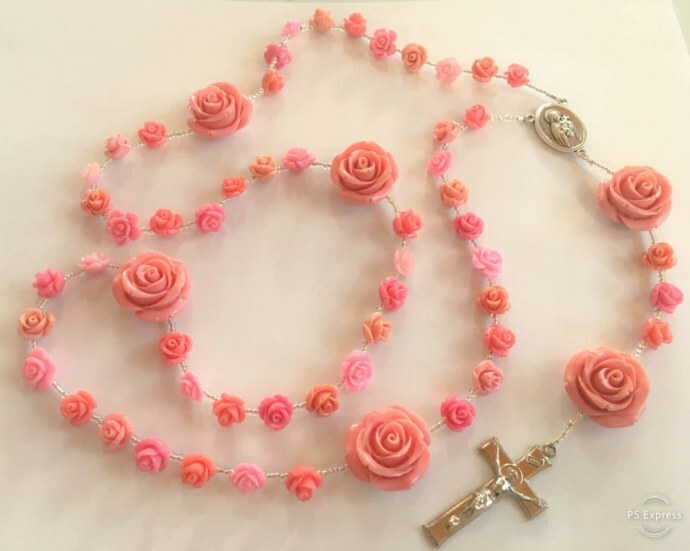 Large dusty pink roses separate each mystery while smaller acrylic roses mark each Hail Mary in shades of pink and several different blooms. 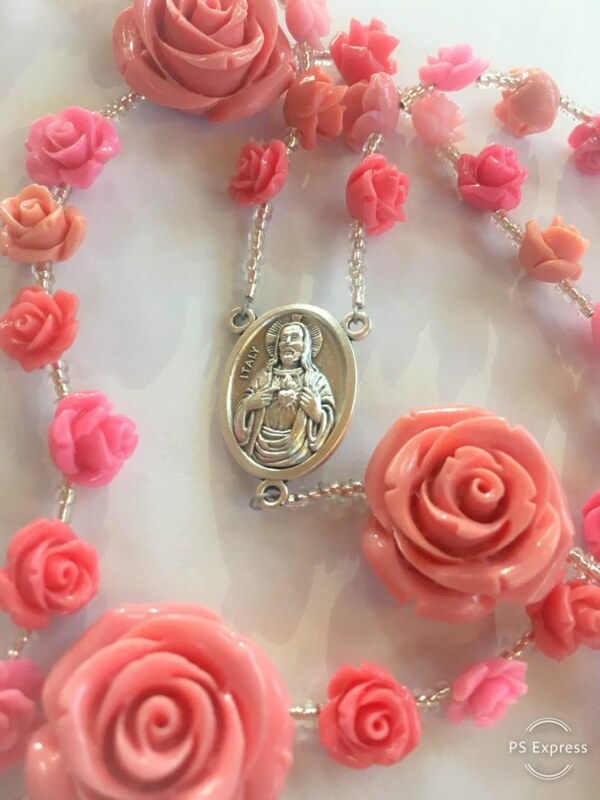 Both reflect the shimmering spacer beads and all point to the centerpiece with St. Therese on the front and Sacred Heart of Jesus on the back. 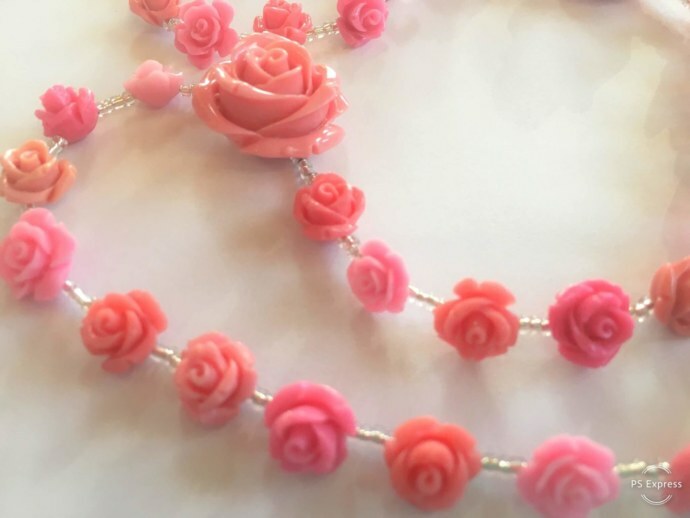 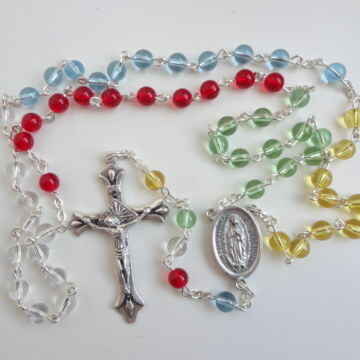 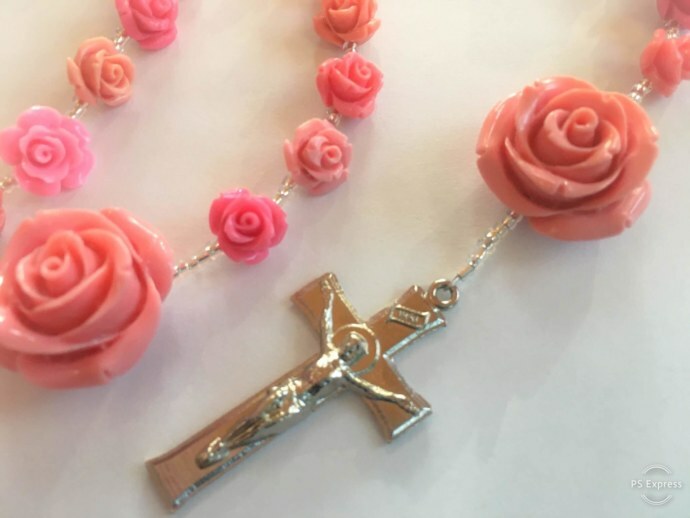 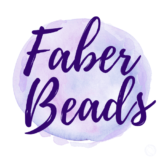 While this particular rosary is made of acrylic beads and would be durable for regular use, it may be better suited as a display rosary and may not be best-suited for regular use. 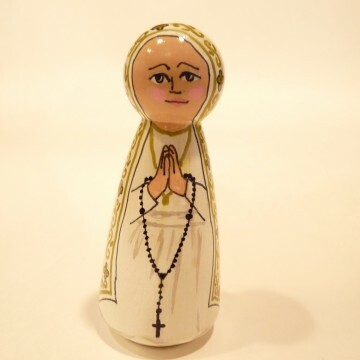 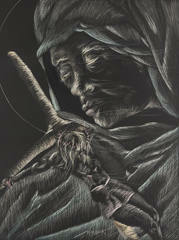 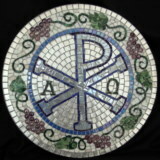 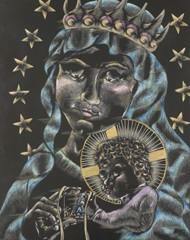 Consider using it as a display piece in your home altar area / home oratory.